Illinois jurisdictions that have drug courts receive direction and assistance from the Administrative Office of Illinois Courts. Drug courts are relatively new to the American judicial system, having been around nationally only since the 1990s. Evidence has shown that drug courts reduce the rate of recidivism of drug offenders, as well as the overall cost to taxpayers when compared to conventional penalties like prison sentences. The specific operations of each Illinois drug treatment court vary by jurisdiction. If you would like to learn more about Illinois drug courts or locate the nearest one, go to the Illinois Association of Drug Court Professionals website. In the case of a marijuana offense, drug courts will typically refer participants to a marijuana program in order to treat their marijuana dependence rather than punish them for it. Marijuana rehabilitation centers and other Illinois programs are not always run by the state, but must adhere to state guidelines in order to accept drug court participants for treatment. 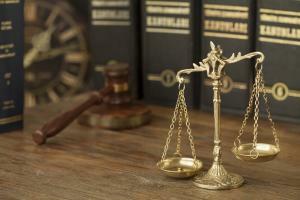 The benefits of participating in drug court vary depending upon the circumstances. Some Illinois defendants may have their marijuana charges dropped if they participate in drug court before a trial or adjudication takes place in a traditional court. If the defendant entered drug court after pleading guilty to one or more charges, their penalties can be reduced or eliminated. Even in cases where the penalties for marijuana possession might not seem severe enough to want to participate in a marijuana treatment program, you should consider drug court as a possibility simply because of the benefit of not having a conviction on your record. Having an Illinois marijuana charge dismissed is far more desirable than having a conviction on your record, which you may be required to report on job, school, and licensing applications. Follow this link for more information about Marijuana and Medical Marijuana Laws in Illinois.